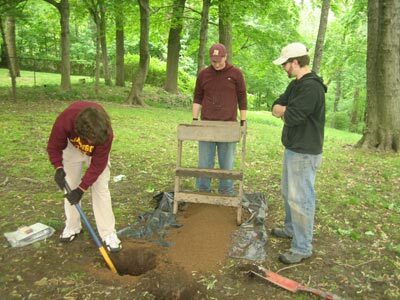 In late 2007, The Madison Historical Society received a grant of $10,197 from the NJ Historical Commission toward the $14,720 cost of an archaeological study of the Miller Forge. An additional $3,500 was raised at the Madison Historical Society’s Historic House Tour and Wreath Auction at The Luke Miller House on December 9. These funds collectively provided the bulk of the financial resources required to initiate some intriguing research projects in spring, 2008. 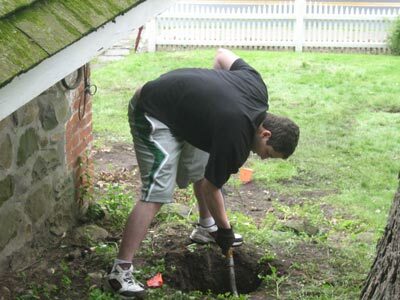 Research projects included an archaeological dig inside and around the forge, a study of the forge building to estimate its age, a ground-penetrating radar scan above the “secret tunnel,” and locating and partially clearing the forge-side tunnel entrance. The hardwood floor and concrete sub-floor over the forge-side tunnel entrance were removed by the Madison Department of Public Works on February 6, 2008. 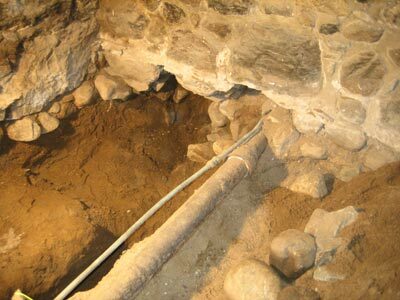 Once the flooring was removed, Mayor Mary-Anna Holden personally dug through layers of exposed soil and located the entrance to the secret tunnel, which had been buried for approximately 80 years. 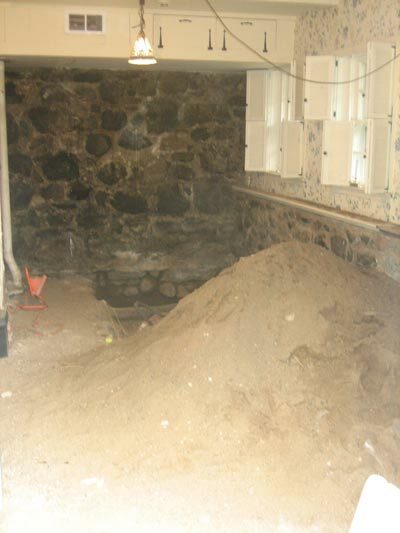 It is believed that the tunnel was partially or fully filled in and sealed during the 1920s, when water pipes for modern indoor plumbing were installed from Ridgedale Avenue, into the forge, through the tunnel, and into the house. 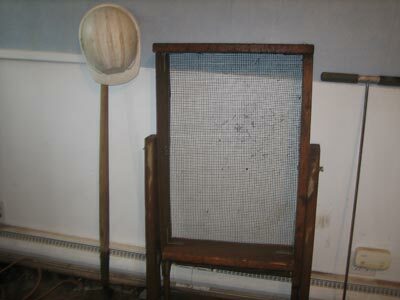 Thirty shovel tests were excavated, and two excavation units. 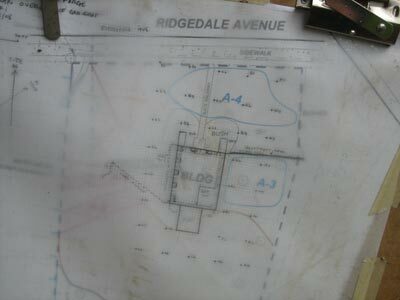 The shovel tests showed very clearly that there is a forge-related deposit between the building and Ridgedale Avenue. 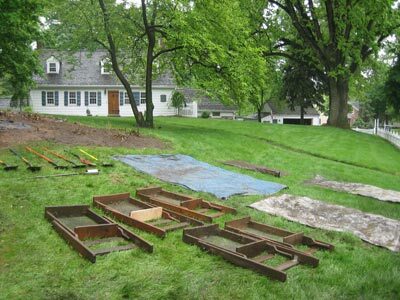 Slag, charcoal, coal, iron bar-stock, fasteners, hooks, horseshoes, nails, and other iron items were recovered, as was a more limited amount of ceramics and glass, apparently mostly of earlier 19th century date. Most of the material was found in a very dark, almost black, soil deposit with high carbon content that one would expect in an area of forge activity. One hand-made brick that was recovered could relate to the forge structure and is clearly earlier than the bricks in the building. The large quantities of slag, implying high-termperature treatment of ore or iron, is suggestive of processes beyond what might be expected in a basic blacksmithing operation. This is a research area that requires further attention. The footing of the north wall of the building is stone, although it is brick above grade. The building is clearly complex, but the almost total absence of forge debris or artifacts from the interior, in such contrast to the area just outside, is intriguing. The unstable loose rubble in the area of the reported tunnel entrance could not be removed without jeopardizing the stability of the wall above, so the researchers could not, at this point, say anything new about the tunnel. It is noteworthy, as Peter Rothenburg pointed out, that the Historic American Buildings Survey (HABS) drawings, rendered in 1936, provide no measurements or details on the materials used for the tunnel, and its course is shown as dashed lines. This does raise the question of how much the HABS record is based on personal observation and how much on report. a.) Use a small, rubber tread tractor hoe to cut a trench across the line of the tunnel about mid-way between the forge and house. This would be done under immediate and close archaeological direction (this is common practice and is usually done with operators who have worked with Hunter Research previously). The objective would be to expose the exterior of the tunnel to examine its structure and date. If feasible, a section of the roof could be removed to examine the interior. 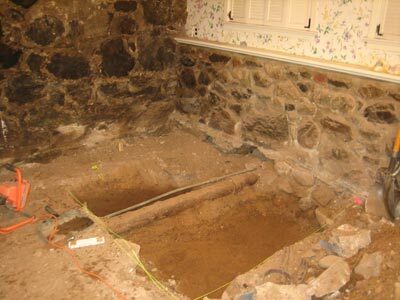 (Editor’s note: the present homeowners are interested in re-opening the house-side tunnel entrance, located in the wine cellar, which may be a simpler and less risky method to reopen and research the tunnel). b.) 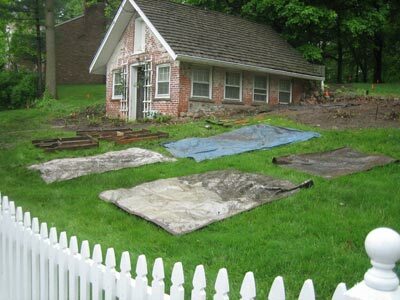 Open up larger areas on the lawn in front of the forge building, a primary objective being to establish if there is in fact a second building at that location, within which testing had been conducted May 15-20, 2008. The findings and recommendations above were presented by Dr. Burrow at the Madison Historical Society’s Annual Dinner Meeting at The Madison Hotel, June 5, 2008. 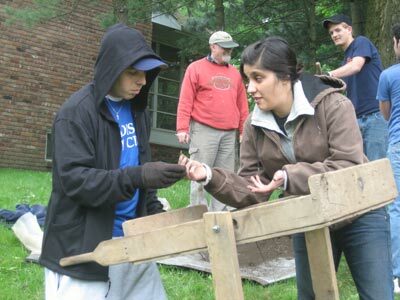 In addition, The Madison Eagle also featured a story about the archaeological dig in its May 29, 2008 edition. A PDF of that article is available within the “In The News” section of this site; the article can be directly accessed by clicking here. 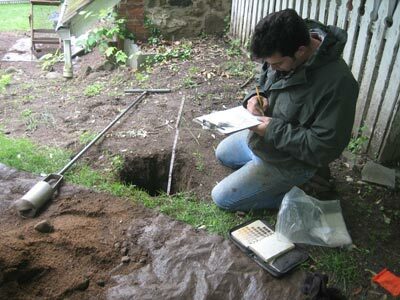 On September 22, 2010, Madison Historical Society members received a report on the latest discoveries at the Luke Miller House. 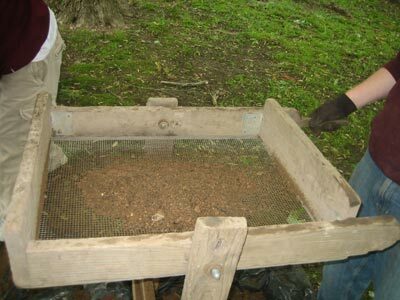 Dr. Ian C. Burrow, Vice President and Principal Archaeologist for Hunter Research, Inc. in Trenton shared the results of archaeological efforts undertaken at the forge area of the Miller property. 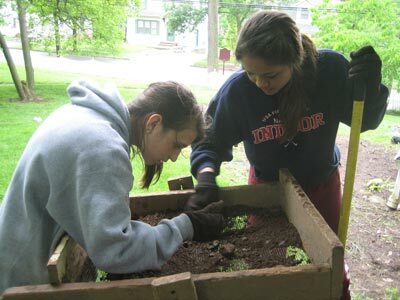 Under the supervision of Dr. Burrow, work was accomplished in May of 2009 by Drew University Historic Preservation Certificate students and in June of 2010 by Madison High School students. As the latest report notes, “Work undertaken in 2008 had cast some doubt on the traditional interpretation of the present building as a forge. Shovel testing showed a dramatic concentration of ferrous metal, charcoal, and slag on the lawn area between the forge and Ridgedale Avenue, particularly noteworthy because of the almost total absence of such material in the forge building itself….Close examination of a series of 19th century maps…showed that there was probably a long rectangular building at this location (between the present “forge” building and the road) in 1857 and 1868.” Indications were that the forge may actually have been this now vanished building. The latest investigations had the intention of locating foundations of this missing building shown on the 19th century maps. Work done in May of 2009 and June of 2010 confirmed the presence of quantities of ferrous material, slag, and charcoal in the area between the current building and Ridgedale Avenue . Artifacts recovered from the site included nails, a number of tools, including a claw hammer and probable files, and kettle fragments. A small quantity of ceramics and pipe stems was also recovered. 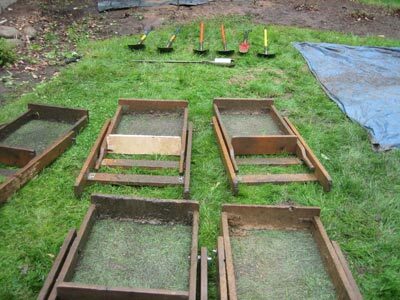 Additionally, the work indicated that there is below-ground structural information in the lawn area relating to a building associated with forge-related activities. 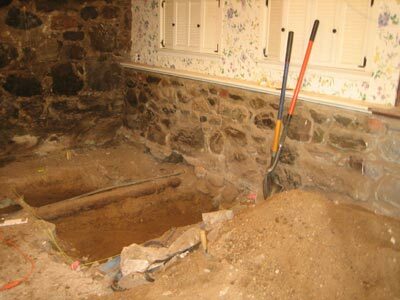 The recommended next step will be to establish the extent of the wall foundation.